The dimensions of your pin must be 2:3 (this is Pinterest-friendly and will be distributed in the feed). So, 600 pixels wide x 900 pixels long, or 1000 pixels x 1500 pixels. When needed, I find free stock photos from pexels.com and unsplash.com for my pins. Often, I’ll put a large white rectangle on it that houses my text so it’s easy to read. Rule of Thumb: If your pin feels cluttered, IT IS. Give your text room to breeaaaathe! Try making your text smaller or adding more white-space around it. Take a look at these before and after pins. I’m not kidding – I really see pins like what’s on the left. Left: The background is too busy behind the text, the fonts are hard to read and too crowded, and the pink doesn’t match anything. There’s also no branding on it. Right: I abided by the rules outlined above. Doesn’t it look 10x better?! 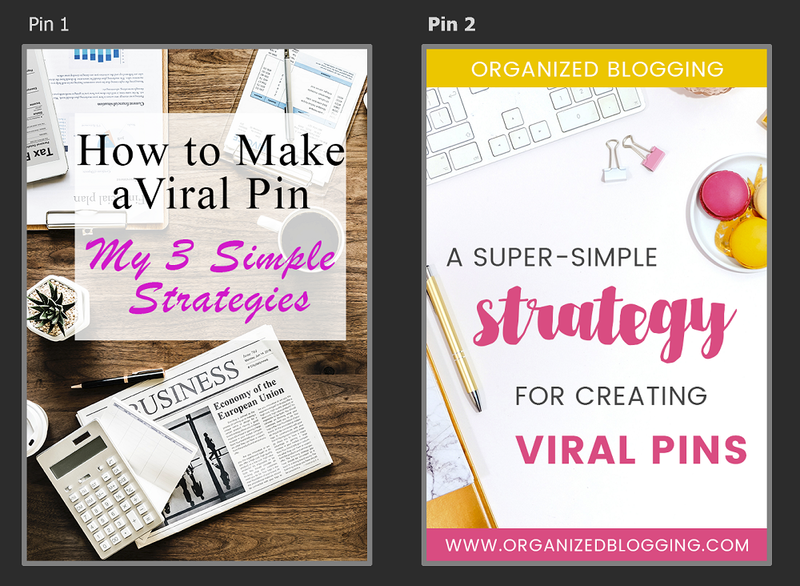 Here are a few pins I’ve created for Organized Blogging. Take a look at all my pins on the Organized Blogging Pinterest Board. When you click on a pin, it’s because you want to know more, right? In my favorite marketing strategy, this is called opening a story gap for the reader. Basically, we’re beginning to tell them a story that they feel like they need to finish, AKA closing the story gap. They close this gap by clicking on your pin and reading your content. With that in mind, don’t give away all your secrets in your pin graphic. The goal is to drive traffic to your website. In the long run, impressions and saves do little to nothing for your blog. Entice them into reading your content and coming away better because of it. Step 3: Use Your Keywords! Now, Pinterest can’t “read” your image. You need to tell it what your pin’s about so it knows how to categorize it and who to show it to. We need to find the phrases that Pinterest users are putting in the search bar, then use those phrases in our pin descriptions. Take a look at how to do SEO research for Pinterest, then learn where to put those Pinterest keywords. After you’ve learned how to do SEO research for Pinterest, it’s important to go through your Pinterest profile and add in keywords. Why? Because when you pin to your Pinterest boards, the board description follows the pin around the internet and helps it get seen. Hello, virality! Also, when you add keywords into your Pinterest profile, it helps your profile get seen in the Pinterest search, allowing more people to find you and follow you. Whoopee! Pinterest loves you (and will show your content more!) when you’re consistently pinning and sharing new content. Hands down, my favorite way to consistently pin is by using Tailwind. I’ve created a weekly pinning schedule so Tailwind auto-pins on my schedule. I’m able to schedule several weeks worth of content at a time and regularly push out new content in consistent intervals (learn more about my Tailwind pinning strategy). I can’t stress how important it is to consistently pin. Pinterest is a long-term marketing strategy. 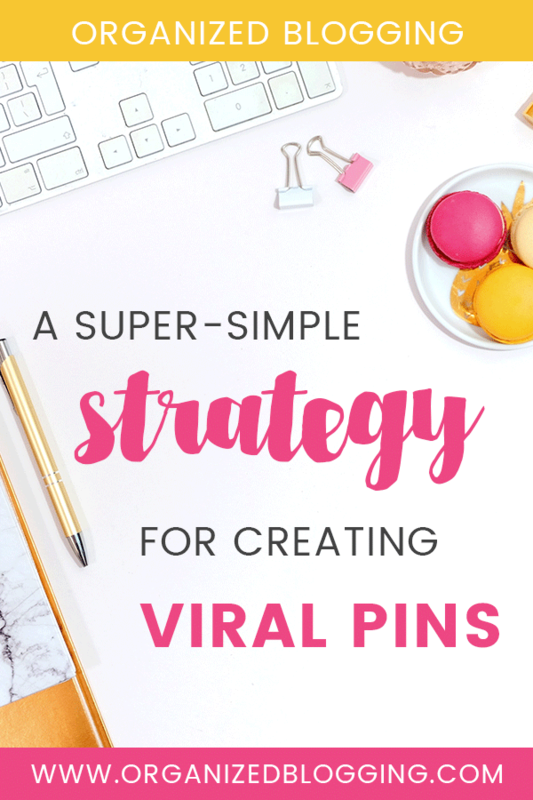 It can take a few months for it to pick up on your consistent pinning habits and share your content with more people. 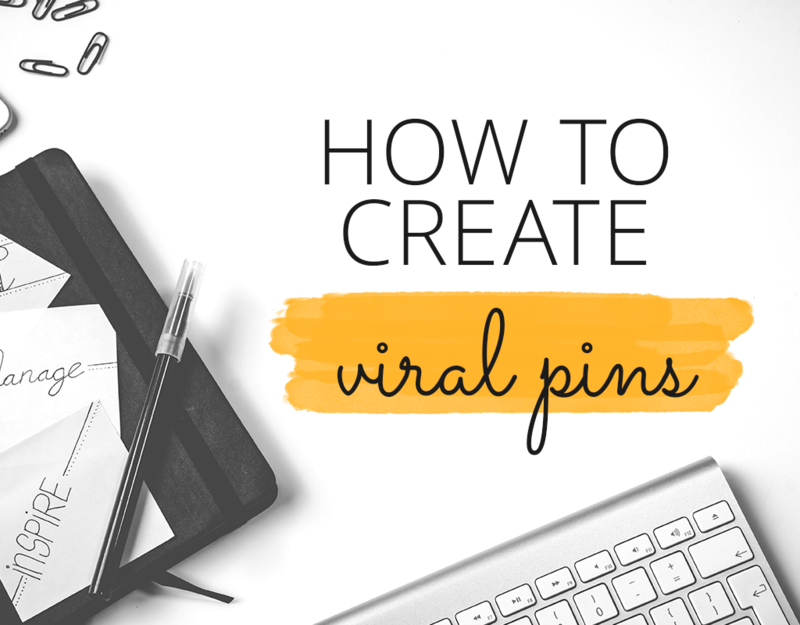 If you steps 1-4 but don’t pin consistently, it’s going to be next to impossible to make any pins go viral. Best of luck on your pinning journey! Have any questions? Feel free to drop them in the comments! I got you, friend! PS – Need a simple roadmap for this whole Pinterest thing? Learn the A-Z’s of Pinterest with my simple guide – just subscribe with your deets below and I’ll drop it in your inbox! Great post. My blog is fairly new and I’m behind on all things social media. Sure, I’d used Pinterest before, but never really tried to attract followers (and still for the life of me can’t figure out how). My pins are starting to get some great traction but still not converting to followers. I have a fairly elementary question, and one I’m pretty embarrassed to ask. I pin one new pin six days per week. I understand I should be re-pinning several times daily. This process is basically just clicking on my pin and saving it to a different board, correct? And then I delete previous identical pins on that board? Or leave them? I know that seems like a silly question, but just want to make sure I’m getting the most out of my efforts. I checked out and followed your Pinterest board. Great pins! Lastly, I’d recommend never deleting pins. It will actually hurt your engagement! It’s okay to have multiple copies of a pin on the same board, just so long as you’re not pinning the same board to the same pin multiple times per week.